Good morning! 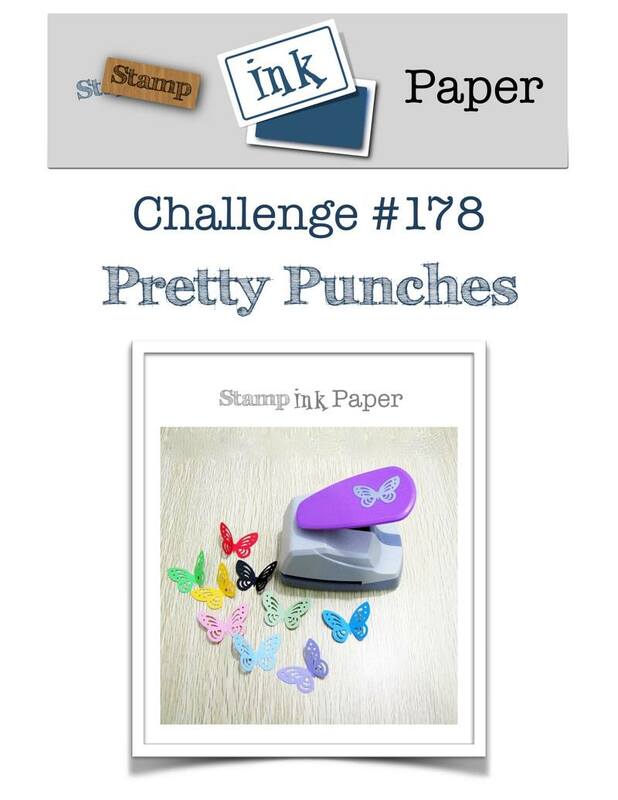 We have a Pretty Punches challenge over at Stamp, Ink, Paper this week, and I have a festive card for you that uses the Christmas Bulb Builder Punch. 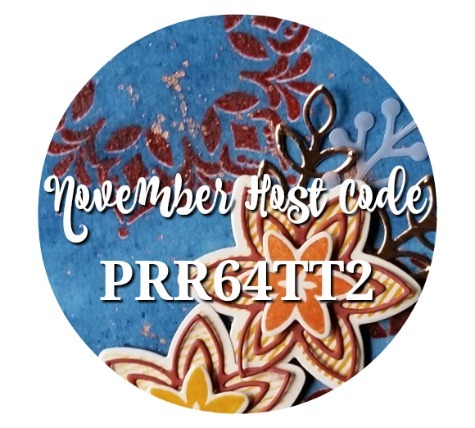 We’d love for you to join in the challenge this week, so please head over to the design team blog, and play along! 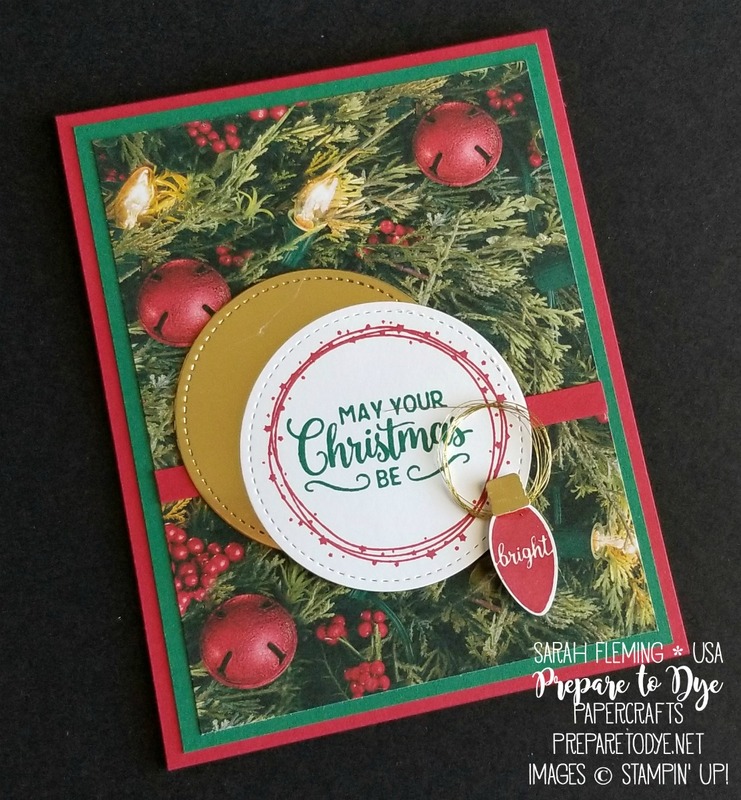 This is one of the cards I made in my Facebook Live video last week. My card base is Real Red, 4-1/4″ x 11″, scored at 5-1/2″. On top of that is a piece of Shaded Spruce cardstock, 4″ x 5-1/4″. 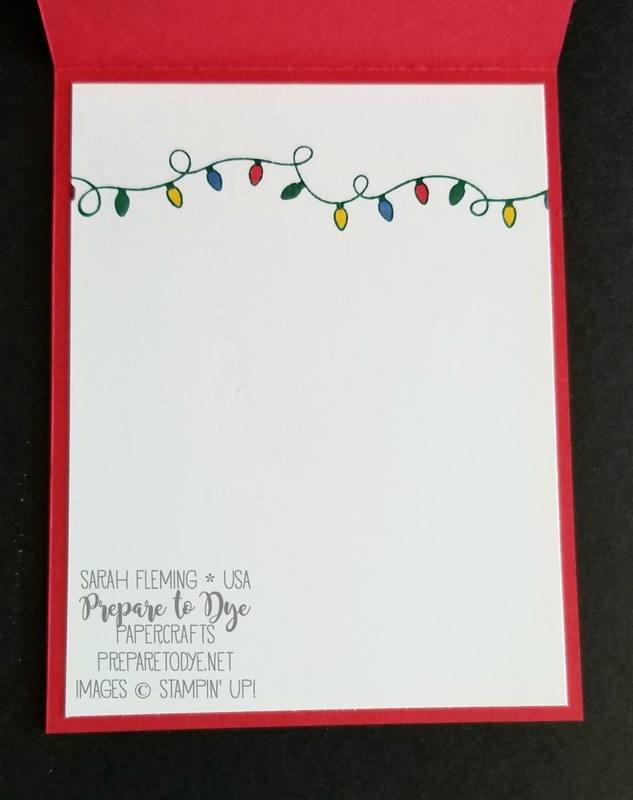 On top of that is a 3-3/4″ x 5″ piece of paper from the All Is Bright designer series paper pack.The little red strip is a piece of 3-3/4″ x 1/4″ Real Red cardstock. I added a piece of Gold Foil, which I cut out with the Stitched Shapes framelits. 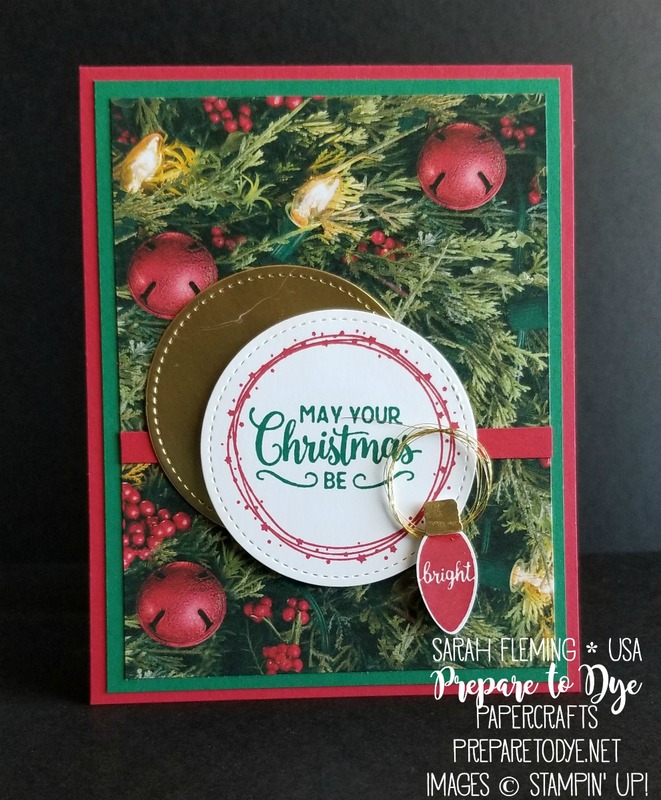 I stamped “May Your Christmas Be” in Shaded Spruce on Whisper White cardstock, then stamped the little starry wreath in Real Red. 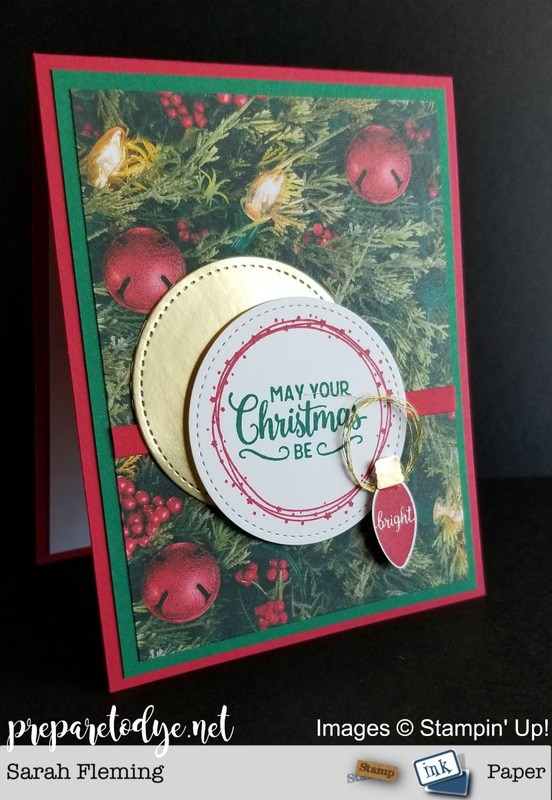 I cut the sentiment and wreath out with the same Stiched Shapes framelit and added that to the card with Dimensionals. I stamped the “Bright” bulb in Real Red on Whisper White, then punched it out with the Christmas Bulb Builder Punch. Then I punched the little twisty part of the bulb out from a scrap of Gold Foil and glued the bulb pieces together. I wrapped some Gold Metallic Thread around two fingers and attached them to the back of the bulb with Mini Dimensionals and added the bulb to the card. Inside, I stamped the strand of lightbulbs in Shaded Spruce, then colored the bulbs in with Light Night of Navy, Dark Real Red, Dark Shaded Spruce, and Light Mango Melody Stampin’ Blends.